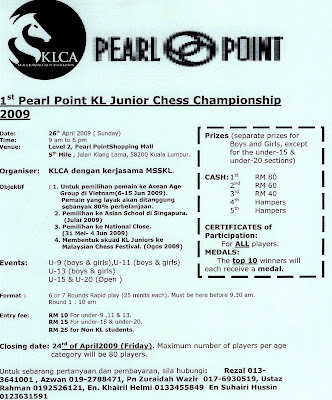 Dijemput semua pemain catur seluruh Malaysia bersama-sama memeriahkan kejohanan 1st Pearl Point KL Junior Championship 2009. 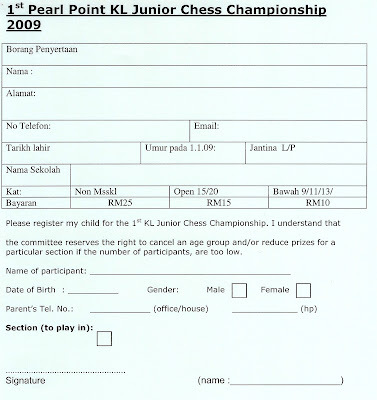 Would appreciate the organizer to specify the selection of players for overseas! Is this under MSSMKL? 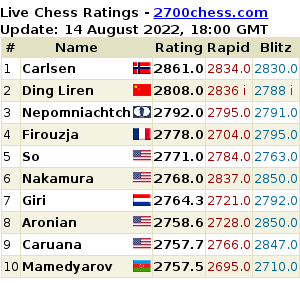 Players from other states also qualify for the selection? Azhar family and gilocatur famili shud boikot next week mcf tournament. wat 4 play no subsidi. Hidup msskl. Give them a call straight forward. where did the participant list go? or maybe because they temporarily deleted it to clean it up first and you werent there to see it. think it yurself.